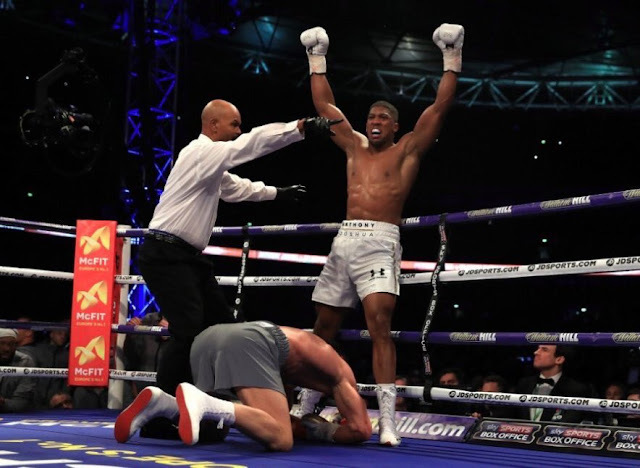 Anthony Joshua real name Anthony Oluwafemi Olaseni Joshua, defeated Wladimir Klitschko in an epic Wembley battle hours ago. 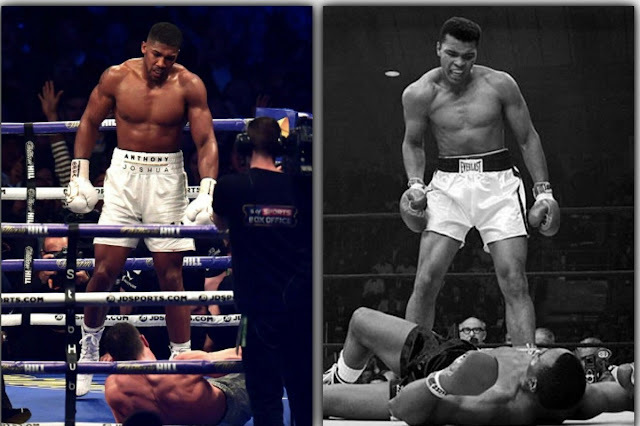 Here's the moment Anthony Joshua did a Mohammed Ali as he ended the Klitschko heavyweight era. 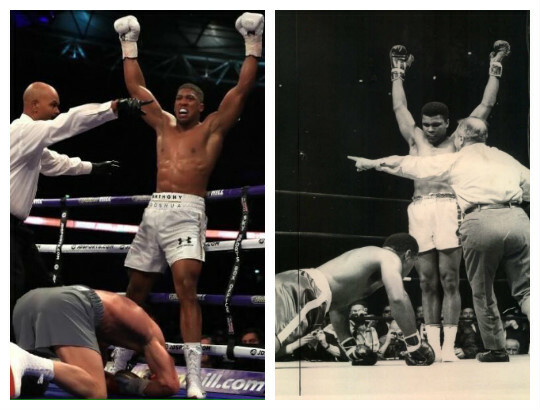 See another Mohammed Ali stance he pulled off after the cut. 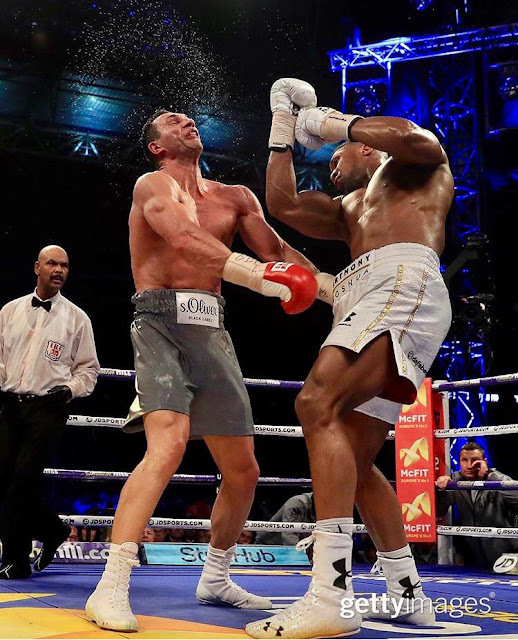 From the moment the final blows of a magnificent fight rippled down Anthony Joshua’s 27-year-old arms on to the bleeding and battered head of the 41-year-old Wladimir Klitschko in the 11th round, there could be no more arguments about who is the best heavyweight in the world. 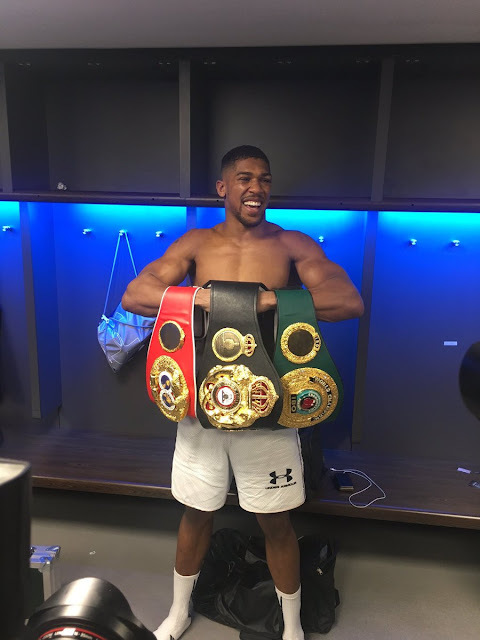 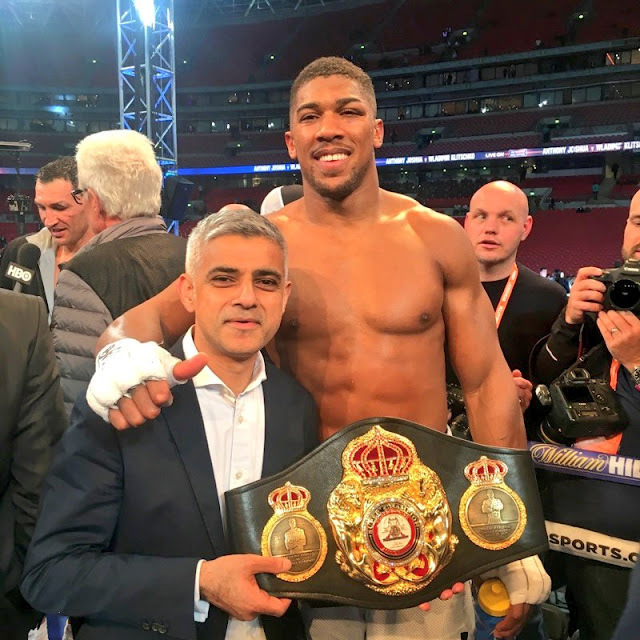 Joshua, unbeaten in all 19 professional fights, added the WBA “super” version of the title to his own IBF belt, and stopped one of boxing’s finest old champions. 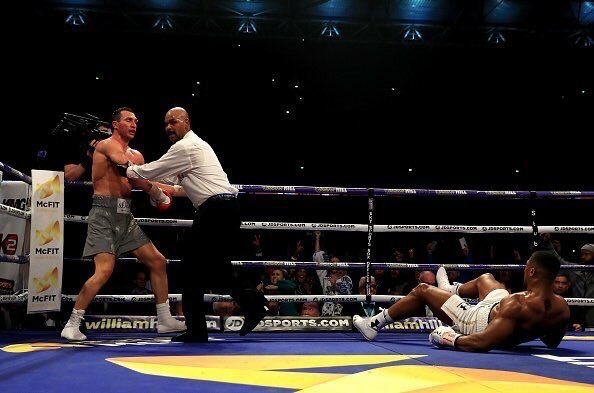 He is right now being hailed as Mohammed Ali reincarnated on social media.